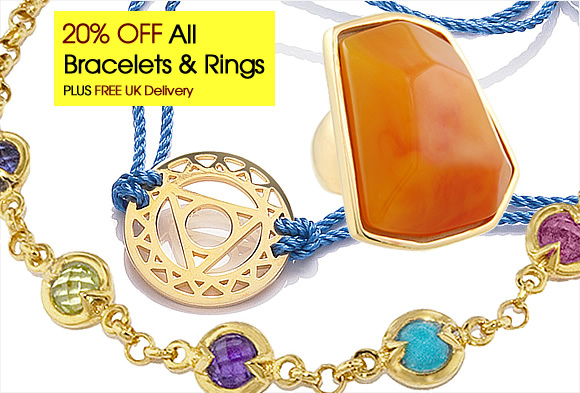 Summer Sale Starts Today 50% OFF Designer Jewellery - Shop Today! 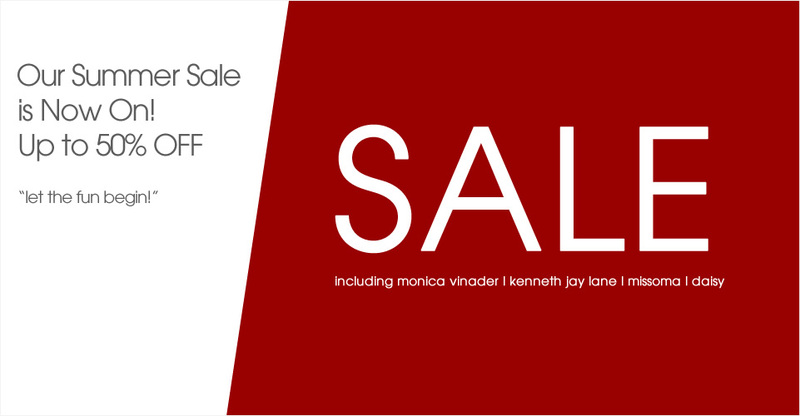 The JOOTS Jewellery�Summer Sale is now on with up to 50% off selected designer jewellery. 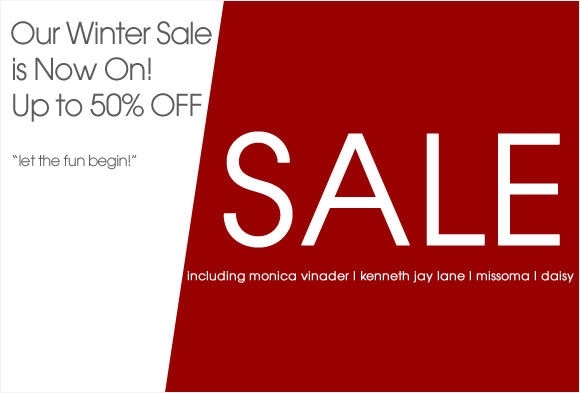 Shop the highly coveted collections by Kenneth Jay Lane,Monica Vinader,Missoma and Assya. With festival season here, don't forget your DAISY Chakra and Friendship Bracelets; limited colour-ways are now on sale! Shop Melissa McArthur�and Gemma Lister for pearl jewellery and Mirabelle jewellery is perfect for fair trade chic. Lastly,everyone's jewellery box needs some sparkling swarovski from Babette Wasserman. With limited pieces remaining,shop JOOTS today to avoid disappointment later! Happy Shopping! On secure parts of our website where you enter your details or change existing information (such as account details) this is done over a secure encrypted connection. Keep an eye out for the 'https:' in your browser address bar + a padlock in your browser. Our site encryption (SSL) is provided by Comodo a global leader in proving website security. Other companies that use them include Virgin, the BBC, Skype, Vodafone and Which Magazine. Many sites store your card details as part of the checkout process (or partially record them). Here at Joots we've decided to leave looking after your card details to Barclays plc, Google or Paypal (depending on how you choose to pay). When you checkout, you'll be transferred to one of these to enter your card details. Their servers are secure and always upto date with the latest security technology, keeping you safe online. Joots has no visibility of your card number, we just keep a record of your name and address so that we can post you your products upon successful payment. For more details check our dedicated payment methods at Joots page. For full details of what PCI DSS compliance means click here. To summarise, we implement a variety of measures to ensure cardholder information is handled securely. We use secure servers based here in the UK. SSL security where required. Our site is regularly tested by external parties to ensure our servers are secure, so that we can maintain compliance with this PCI DSS standard. We comply with the UK Data Compliance regulations and are registered with the UK Data Commissioner. Any customer data held is protected by passwords and on secure servers. Any paper based correspondence is shredded when no longer required. We do not/and will never share customer data with any 3rd party. If unsure of the site can you pay with paypal or google checkout? Thanks goes to our web team and 3rd party suppliers for helping to ensure JOOTS Jewellery is upto date with the current requirements and best practice in the industry to ensure we provide our customers with a safe shopping experience. Make Dad's Day! 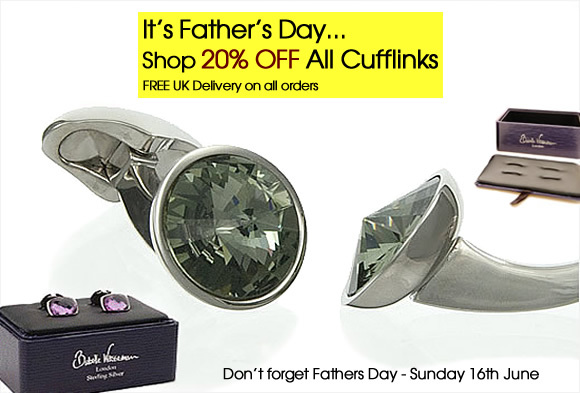 A very special day is fast approaching and we're offering 20% off all our designer cufflinks by Babette Wasserman. Beautifully packaged, they would make a wonderful expression of love and gratitude for the head of the house! Order by Thursday 13th June for guaranteed next day delivery. Please not our Free UK delivery offer can take 2-4days. 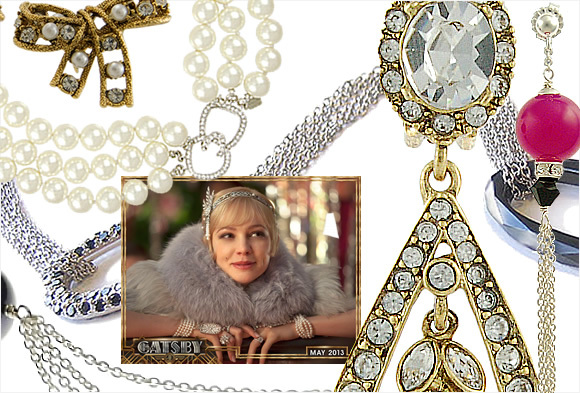 We're loving Baz Luhrmann's film adaptation of F Scott Fitzgerald's�The Great Gatsby�but more than anything we're in love with the stunning jewellery! We have some beautiful Gatsby inspired jewellery for you to glam up your look with! Shop the gorgeous collection by Kenneth Jay Lane, the Pearl Necklace and Antique Crystal Earrings are our favourites! Or try the statement Dragon Link Necklace by Babette Wasserman or the deco inspired tassel jewellery by Karen Morrison. Equally Gemma Lister's striking pearl jewellery is sure to get you noticed! SALE: 20% OFF ALL Bracelets & Rings, Ends Tuesday 30 April, Shop Now! With the Sun shining down it finally feels like Spring! Add the finishing touch to any outfit with a statement cuff or a big, bright cocktail ring. We're offering 20% OFF all our bangles, bracelets and rings to help get your look perfectly polished. Shop our collection of stacking rings,cocktail rings,friendship bracelets,charm bracelets,cuffs,bangles and much more. This offer ends Tuesday 30 April. 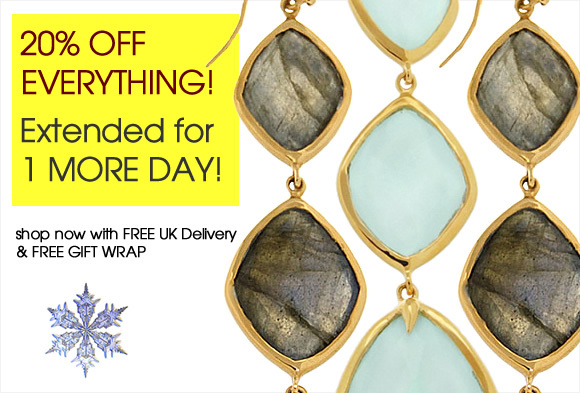 Receive your jewellery beautifully packaged with Free UK delivery too. Happy Shopping! The JOOTS Jewellery Sale is now on with up to 50% off selected designer jewellery. With limited pieces remaining, shop online today to avoid disappointment later and don't forget you can shop from your mobile too. Happy Shopping & Best Wishes for the Festive Season! As it's the Season of Goodwill our Christmas Special has been extended until midnight Tuesday 18th. Enjoy 20% off absolutely everything; but be quick though as many items are selling out fast! 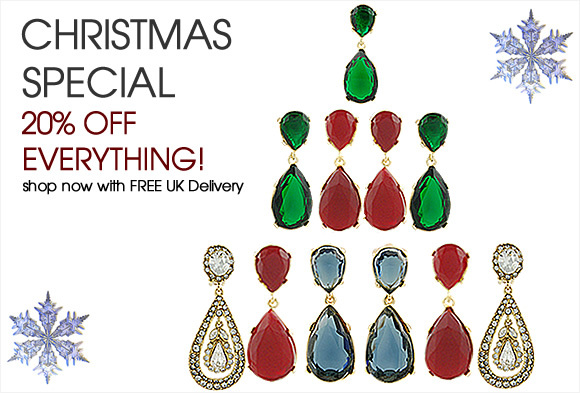 With free delivery and free Christmas gift wrap, enjoy the festive period and shop from the comfort of your own home. 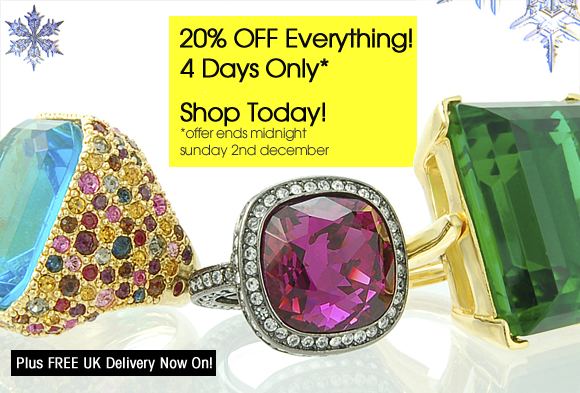 Designer Jewellery Sale Now On - 20% OFF Everything- One Week Only! Our Christmas Gift To You:- 20% OFF EVERYTHING, FOR ONE WEEK ONLY! Must end midnight Thursday 13th. Many pieces are limited, so shop today to avoid disappointment later! In love with the new Kenneth Jay Lane Teardrop Earrings, then now is the perfect time to grab some as they are selling fast! Those who prefer some arm candy, don't miss the DAISY Chakra Bracelets and the Friendship Bracelets, available in many striking colours. Our luxurious Cocktail Rings and Statement Necklaces are sure to turn heads and not forgetting all you dapper men we have a gorgeous collection of Babette Wasserman Cufflinks. All this with Free delivery, get cracking on those Christmas Gift Lists! 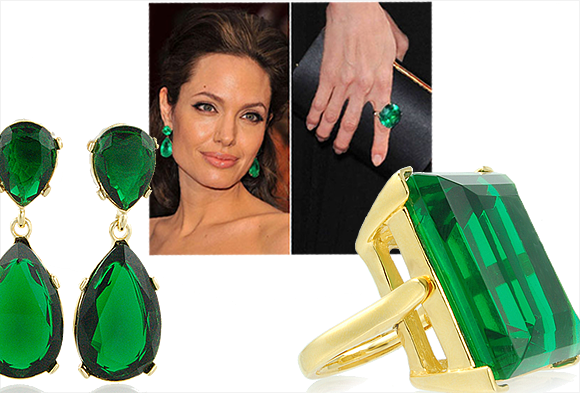 We're all channelling the Angelina Jolie Emerald Teardrop Earring Look! These gorgeous emerald green teardrop earrings and emerald cocktail ring are our latest must-haves from Kenneth Jay Lane. Luxurious and elegant they are simply perfect for party season and would make stunning gift ideas for someone special, yes, yourself! Shop today! 20% OFF Everything! 4 Day Sale Exclusive - Must End Sunday 2nd, Shop Today! Our 4 day exclusive sale event is here with 20% off everything until midnight Sunday 2nd.�With just over 3 weeks to the big day and party season just around the corner there's no better time to get your festive shopping started from the comfort of your own home. Shop JOOTS Jewellery today!